Today I come up with a new Protein/Dietary supplement. 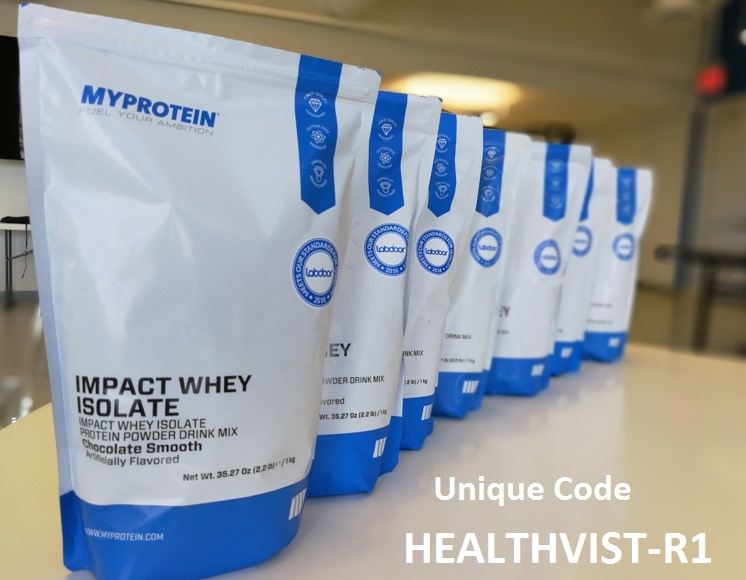 This supplement belongs to one of the top dietary supplement manufacturers in Europe, Myprotein. I have personally used it and observed it's results on few people and I'll discuss them here. 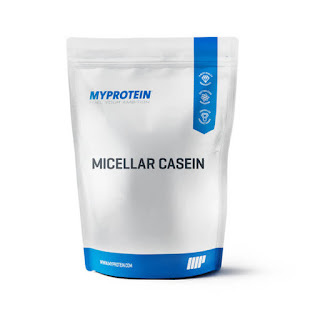 I'll show a genuine comparison of top selling US brands with Myprotein Miscellar casein. Every question will be tried to answered in my review so let's start it now. Mixability and flavor taste ranking. 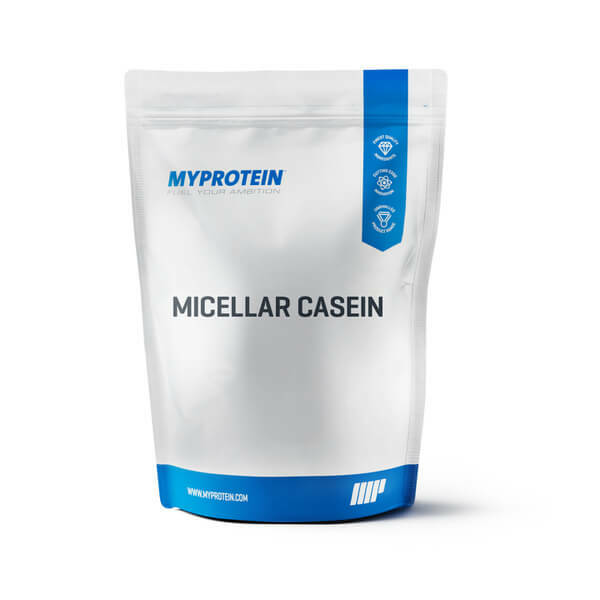 Miscellar casein is the purest casein form and milk derived and Myprotein's casein is one of the best casein proteins available in the world. 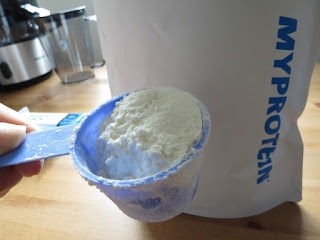 Protein Profile is excellent with 24 gram protein in 30 gram scoop( scoop size varies a little with flavors), which is one of the best profiles for casein protein shake. This dietary supplement has complete amino acid profile and bestows the growth of muscle mass. It can be rated 8.9/10. It's mixability is good and I find it similar with any other biggie like ON(Optimum Nutrition Casein Protein Review), Muscletech(MuscleTech Platinum 100% Casein Review). It takes long to shake in shaker I mean double of what whey protein takes or may be triple but once mixed it gives a thick and creamy shake. Now here is something good for flavor lovers because it has very wide range of flavors and I have tasted chocolate which is very good and other flavors are reviewed good too. It can be rated 8.8/10 cumulatively. TIP: The best way to make a Casein shake is to mix it with 1 cup of skimmed milk and the rest can be water. You will find a a better taste and lesser clumps if you just mix a bit of skimmed milk. Secondly, always use a electric blender whenever available. Lastly, add Casein powder after you add Milk/Water as it has a high tendency to stick to the base of the shaker. Now comes to the final verdict which is quite impressive, I found a great protein profile, good mixability and tastes good too and above all it has a very good price tag also. It's prices are low compared to other big brands but indeed it is quite similar to others in overall performance and quality. This slow release protein has good results and really effective in recovery and muscle growth during your rest hours. Overall it can be rated 8.9/10. Disclaimer: All content on this Article is provided for information and education purposes only. Individuals wishing to make changes to their dietary, lifestyle, exercise or medication regimens should do so in conjunction with a competent, knowledgeable and empathetic medical professional. Anyone who chooses to apply the information on this Article does so of their own volition and their own risk. The owner and contributors to this Article accept no responsibility or liability whatsoever for any harm, real or imagined, from the use or dissemination of information contained on this Article. If these conditions are not agreeable to the reader, he/she is advised to leave this Blog immediately. Please leave the blog if you are not satisfied with the information, these all are general information which any individual can change and take decision on your own.We are not liable to anything. Thank you for visiting the blog. Hey Healthvist, I visited your article through Facebook and read it. Actually I am using this protein since December 2015 and I agree with your point of view and find this casein the best among the bests, it's price is decent, quality is superb and it's not clumpy at all. It is a great product. Hi shubh, thnx for visiting healthvist n Good to hear that you find it readworthy. Even I have been using this product for last two months and found remarkable differences in my physique. Since then, I haven't changed my brand. The only issue is its availability. Hi deepak, thanks for visiting and your comment can be useful for selecting casein for many. Nowadays Product is available with some of the leading market places but yes sometimes you won't get it anywhere..
Hey, I am really looking forward for the post which reveals the best body-building supplements of 2016.I like your post. I am a regular user of Xtreme No supplements for muscle growth in 2015 and I really feel the real difference which I want :-) But now I want to try above mentioned product too.. If I shall get a chance to review your supplement, I will be happy to do so. Thanks for this post, I have been using Myprotein's products for long and it's my favorite brand for Dietary supplement. I recently bought myprotein casein chocolate flavor. When I mixed it with water in a shaker, it formed a lot of foam which tasted awful. Any way to make this shake with less foam? I tried to make it in glass with a spoon and after so much(and I mean SO MUCH :-s stirring it mixed with some clumps and that tasted significantly better. The shake itself doesn't have a bad taste, it's the foam that tastes crap which is formed after shaking the powder in a shaker. So plz tell me how to make this shake tasty with minimum foamy texture. Hey dvynshu, I can understand your point but you can't prevent that foamy head in shaker and mixing it with spoon is not gonna be a choice. OK, now what you can do is just take small amount of water/Skim milk n shake it till it get mixed after that open shaker and stir it with spoon now add very small amount of water 2-3 times and keep stirring with spoon, you will have very less foamy texture. I'll never use myprotein casein chocolate flavor before. From last one year I am having Best nutrition supplement by HGH to maintains my overall health and vitality.Now i would love to try above mention too I hope this is good for me too. Yeah emily you can try this, it is one of the best casein supplements available in the market today. "Miscellar casein is the purest casein form and milk derived and Myprotein's casein is one of the best casein proteins available in the world. Protein Profile is excellent with 24 gram protein in 30 gram scoop( scoop size varies a little with flavors), which is one of the best profiles for casein protein shake. This dietary supplement has complete amino acid profile and bestows the growth of muscle mass." I agree with these words but without https://www.biceps-shop.com/best-casein-protein/ you cannot grow thin.